WHAT LINKS the Nazis, America’s space program, and the death of President John F. Kennedy? 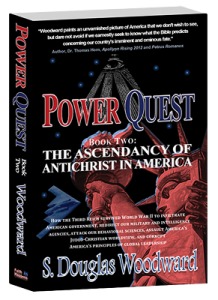 It sounds like something from a tabloid, but Doug Woodward, author of Power Quest Book Two: The Ascendancy of Antichrist in America, presents evidence that these seemingly unconnected things are indeed tied together — and all linked to a disturbing spiritual arc that may lead to the rise of the Antichrist in this so-called Christian nation. This interview from the Prophecy Summit at Branson is one of a series we’ve been posting over the last few months. Our final interview, which will be uploaded next week, is with Chuck Missler. 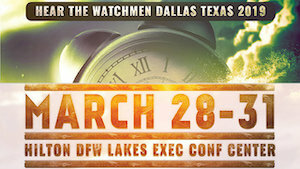 Video of these interviews will be part of a DVD set that is being produced by Prophecy in the News. Please visit the P.I.D. Radio Facebook page. Find links to the articles we discuss at the P.I.D. News page, discuss the topics at the P.I.D. Radio Cafe, and don’t forget the great Christian podcasters at the Revelations Radio Network.